Mix the sponge 2 – 4 hours or so before you want to make the dough. I am currently using a very strong flour which seems to absorb a lot of liquid, you may wish to reduce the amount of milk in the sponge if your flour is not so strong or add more flour to the final dough. When the sponge has risen and flowed gently all over the worktop, while you were out walking the dogs, scrape it back into a bowl, take a deep breath and add the melted and cooled butter and the egg, vanilla essence and a spoonful of sugar. Mix these well and then add the rest of the flour, leave the dough to rest for 10 minutes. Add the chocolate last to the dough; chips, chunks, whatever you have, try and get them distributed evenly through the dough. I don’t do intensive kneading if I can avoid it, only enough to make sure the dough is well mixed. Leave for half an hour, come back to it and give it another light knead, oiling the worktop lightly with oil if the dough is very sticky to make it easier to handle. You can do this again later if it makes you feel better, but I forget. Total time for first prove is about one and a half hours. Divide dough into 14 balls. You might need a dusting of flour to help with this part. Shape and place on baking parchment lined trays. Leave to rise for another hour. Cover the trays with either a plastic box or clingfilm or put them inside a carrier bag and prop it up with something. Bake at 210 degrees C in an ordinary oven for 22 minutes till golden brown and sound good and hollow when tapped. Cool on a wire rack, and brush the tops with a glaze of 2 spoons of boiling water, 2 spoons of sugar and a teaspoon of Fiori di Sicilia ! The air will fill with the glorious perfume of orange and vanilla and make you think momentarily of Jacobs Club Biscuits and school trips. Actually it’s better than that and a little goes a long way. Thanks Lynne for that inspiring gift! Enterprising importers and artisan baking suppliers please note we want you to stock this, please please please! You’ve got until Christmas to sort it out. 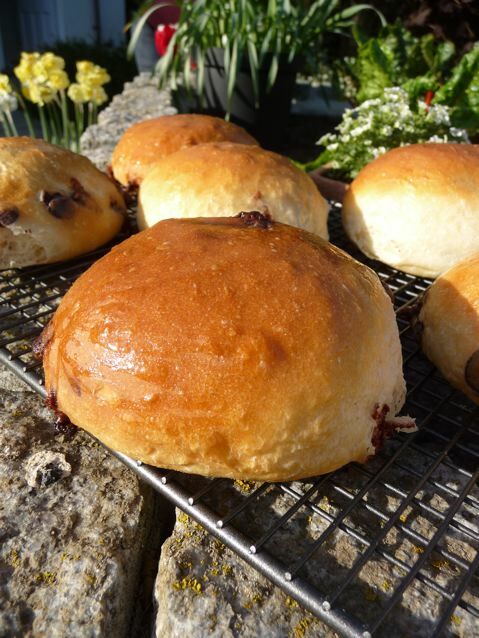 I really adore these buns, they look like traditional english bread rolls, but they are soft and rich tasting from the addition of the egg and the butter and have just enough chocolate in them and a hint of panetonne taste as you take the first bite! I tell myself they are less fattening than croissants or pain au chocolat with its layers of buttery pastry, but are still yummy enough to please a fussy elephant! 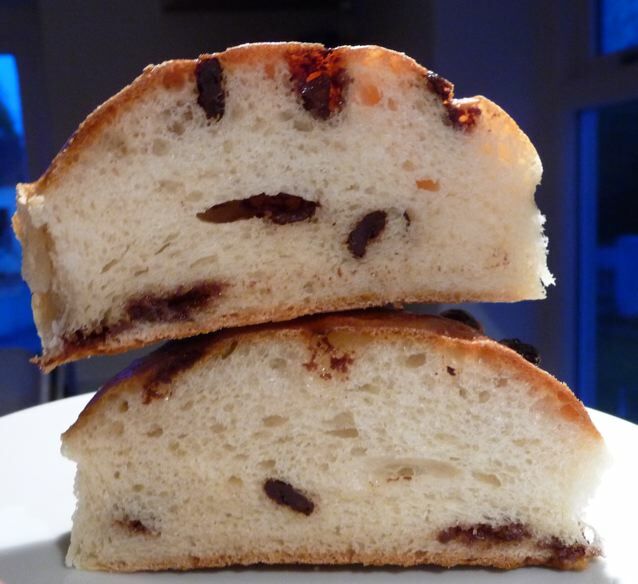 This entry was posted in Bread, Buns, Dog Walks, Plants and Trees, Recipes and tagged Bread, chocolate bun, Dan Lepard, dandelion, elephant asks for a bun, fiori di sicila, sponge method, uht milk on 01/05/2010 by Joanna. Lovely looking ”pain chocolat’. Did you ever toast them ? They look as if they would make a v moreish sort of T cake to toast, but maybe they never get stale to need to be toasted ! I froze some, so no they haven’t had a chance to get stale but I’m sure they would be delish toasted too Lynne! Re the elephant..I would guess he does not bother to ask and just reaches in with his trunk to help himself. Hmmm…they look scrumptious!! I haven’t made sweet buns in a while, must put them back on my to do list. I use UHT milk as well – wonderful stuff, and so much easier than heating and cooling etc. I made them today and they are delicious, though I used raisins instead of chocolate and shaped them into the buns before one and a half hour rise as I didn’t have another hour for the second prove. I’m so glad you liked them Zoya! I think I made them with chocolate because I had had enough fruited buns over Easter, it’s a very easy going dough, you can make it into loaves too of course! 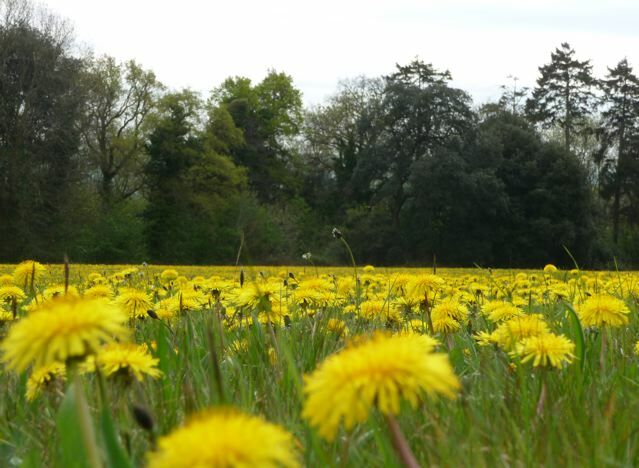 Utterly charming and you’re spot on about Fiori di Sicilia – its perfume is extraordinary. As a cautionary note to that, in my experience it does need to be used up very quickly because it can become quite harsh after a while. That said, I’ve put Fiori di Sicilia in pretty much everything, from granola to flapjacks as well as cakes, mousse, ice-cream and even a sauce for chicken. Heh :) I loved your Bevy of Buns post so much. The bit I can’t do on the blog is the bit where I hold my arm up with my shoulder pressed against my mouth and wave my arm at you in a trunk like way and mutter “May I have a bun please” (originally it is a visual joke of Tutak’s). There was also another one where you extend one arm sideways and tuck the other into your ribcage. The extended arm flaps as if flying and you look straight ahead, bobbing slightly. What is that? A seagull flying home from the library. We are easily pleased in my family with silly jokes…. And in the time since I wrote this post, Bakery Bits has heeded our pleas and now has the Fiori in stock!